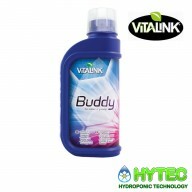 Vitalink Buddy 1ltr VitaLink Buddy is a PK additive rich in potassium and phosphorus with added Magnesium and Sulphur to support the extra K and P which primarily supports the quality of the plant but also encourages maximum yield from plants i.e. 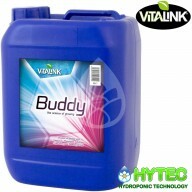 growing bigger buds, producing more fruit and..
Vitalink Buddy 250ml VitaLink Buddy is a PK additive rich in potassium and phosphorus with added Magnesium and Sulphur to support the extra K and P which primarily supports the quality of the plant but also encourages maximum yield from plants i.e. 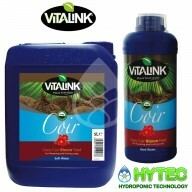 growing bigger buds, producing more fruit an..
VitaLink Coir Bloom VitaLink Coir is an advanced, yet easy-to-use coco coir formulation that is scientifically proven to deliver excellent plant results. 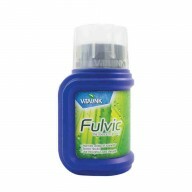 Developed specifically for the unique properties of coco coir media and contains a key level of all elements. 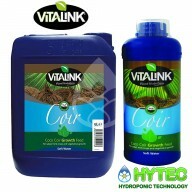 Scientific tests prove tha..
VitaLink Coir Grow VitaLink Coir is an advanced, yet easy-to-use coco coir formulation that is scientifically proven to deliver excellent plant results. 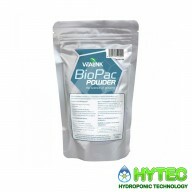 Developed specifically for the unique properties of coco coir media and contains a key level of all elements. 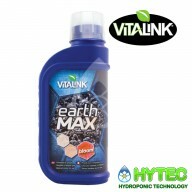 Scientific tests prove that..
VitaLink Earth MAX Bloom 1L VitaLink Earth MAX is a mineral nutrient with added Fulvic Acid that has been developed to contain everything plants need for fast growth and healthy plant development along with large yield when growing in soil. 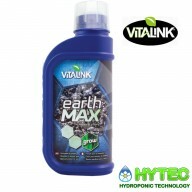 This product is ideal for use with potted plants and..
VitaLink Earth MAX Grow 1L VitaLink Earth MAX is a mineral nutrient with added Fulvic Acid that has been developed to contain everything plants need for fast growth and healthy plant development along with large yield when growing in soil. 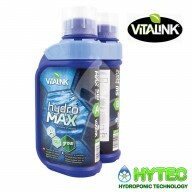 This product is ideal for use with potted plants and ..
VitaLink Hydro MAX has a strong reputation with growers for promoting healthy plants and yield. 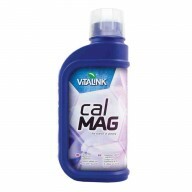 It is suitable for use with clay pebbles, perlite, stone-wool and can be used with recirculating and run to waste hydroponic systems. 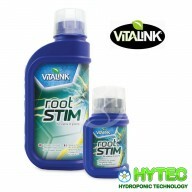 It aids better overall plant health and development, VitaLink Hydr..
VitaLink Hydro MAX Grow A+B VitaLink Hydro MAX has a strong reputation with growers for promoting healthy plants and yield. 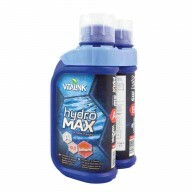 It is suitable for use with clay pebbles, perlite, stone-wool and can be used with recirculating and run to waste hydroponic systems. 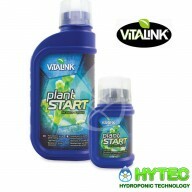 It aids better overall plant health..
VitaLink Chill 1L VitaLink Chill is designed to encourage plants to not only cope when temperatures rise above 30 degrees Celsius but to thrive in these environmental conditions. 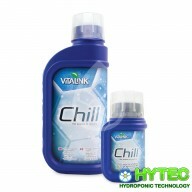 Key Features: Protects against heat stress Prevents flower abortion Allows side shoots to grow on Produ..
VitaLink Chill 250ml VitaLink Chill is designed to encourage plants to not only cope when temperatures rise above 30 degrees Celsius but to thrive in these environmental conditions. 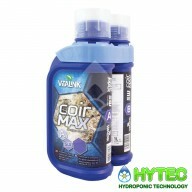 Key Features: Protects against heat stress Prevents flower abortion Allows side shoots to grow on Pr..
Coir MAX Professional plant nutrition developed specifically for growing in coco coir Highly concentrated 2-part formulation Highly stable formula means reliable control of pH and EC Unique use of EDDHA and fulvic acid giving the plant optimum nutrient absorbtion VitaLink Coir Max is a highly-c..
Vitalink Turbo 1 LTR VitaLink Turbo contains L-amino acids and brassinosteroids. L-amino acids are left handed amino acids and are the building blocks for protein in plants. Brassinosteroids are signalling compounds which instruct the plant on where to focus it’s energy. 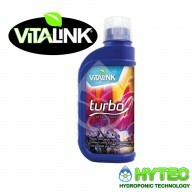 They are th..
Vitalink Turbo 250ml VitaLink Turbo contains L-amino acids and brassinosteroids. L-amino acids are left handed amino acids and are the building blocks for protein in plants. Brassinosteroids are signalling compounds which instruct the plant on where to focus it’s energy. They are th..